It was inevitable that the Bostitch BTC400LB would find its way into our shop. The promise of a well-priced power tool sold at Walmart that also offers good performance was too good to pass up. Destined to be a high volume item I feel that I can help a lot of people by reviewing the BTC400LB. Let's take a look, if this drill/driver is the great deal it is supposed to be, or if the marketing got ahead of the tool's performance. 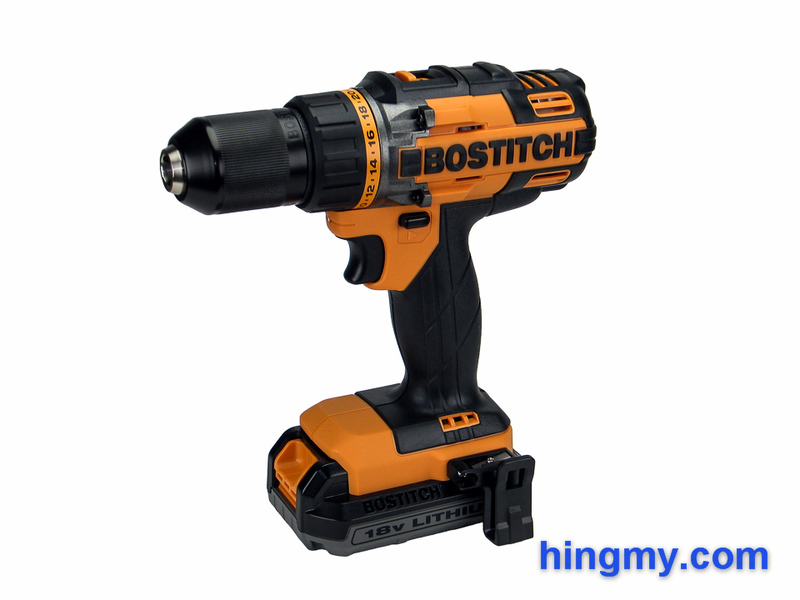 The BTC400LB is a medium-duty drill driver from the Bostitch corporation, a subsidiary of Stanley Black&Decker. It was designed for home use and light construction. The struggle between the need to be economical and high performant at the same time is evident in all components of the BTC400LB. Some parts are taken from professional quality tools, while others seem to come from the budget line. Value-add features like a battery gauge are simply missing. The drill as a whole certainly has that "power tool" feel to it. Everything about it feels solid, and there are no lose part. The protective bumpers on the side of the barrel are just large enough to do their job. That's not very encouraging considering that there are two very sharp metal points on each side of the tool. When the drill is new the bumpers work well, but I don't want to encourage tool designers to sacrifice usability in favor for rugged looks. No tool should have sharp edges anywhere except on the bit that does the work. The BTC400LB performs well as both a drill and a driver. The horrid two hour battery recharge time limits its usefulness. The trigger of the BTC400LB is easy to use. Selecting and holding a precise speed takes little effort. The dead space at the tail end of the trigger range is a bit on the wide side, but it does not affect the functionality of the trigger in a meaningful way. The gear selector switch at the top of the tool is equally well made. It locks into position with authority making gear changes very satisfying. Every now and then the switch catches a little hinting that not everything is working perfectly. The direction selector switch works well, but feels a little soft. It is within easy reach and locks into position relatively quickly, but it feels like there is too much plastic in the way it was constructed. The chuck is the highlight of the BTC400LB. Made entirely out of metal this chuck would perform well on a professional quality drill. There is not the slightest hint of runout. The chuck can be tightened down with an iron grip without having to fear breaking something. Securing large bits can be difficult, but that's a common limitation of the friction chuck design. Bits smaller than 1/2" can be installed in the chuck without operator discomfort. The clutch works equally well, but does not seem to be nearly as durable. All 23+1 positions are meaningful and useful. Setting #12 sinks a three inch screw below the surface of construction grade lumber in our standard test. That leaves an impressive 11 additional settings for even tougher work. Some professionals tools can't match that. The sound the clutch makes when it lets go suggest its quality is closer to consumer level than it is to the professional end of the spectrum. There seem to be a lot of plastic components in the mechanism. We can't accurately predict how durable the clutch will be in the field, but we feel common sense applies. The clutch will certainly hold up building a deck every now and then, but it probably won't see the end of its first season on a deck building crew. The work light of the BTC400LB is badly engineered. The light it produces never reaches the impact point of the drill bit. Only the area below the chuck receives any lights at all. On our review model the lens was installed improperly. The center axis of the light is skewed noticeably to the right. There is no reason to believe that every BTC400LB has this problem, but we expect many do. The work light is connected directed to the trigger. It turns on when the trigger is pressed, and distinguishes as soon as the trigger is released. With a light touch it is possible to turn the light on without engaging the motor, but doing so takes far more effort than it should. 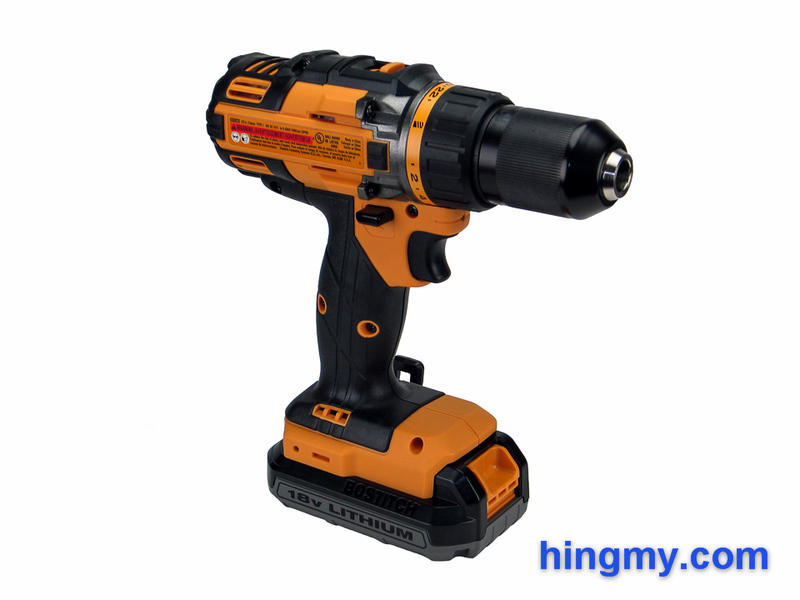 The battery is the single greatest weakness of this drill/driver and all other Bostitch tools that use it. It took the included charger over two hours to recharge a dead battery, which is something the competition can do in under 20 minutes. This fact alone disqualifies the BTC400LB from regular job site use. You'd have to bring 3-4 batteries and a couple of chargers to run this drill on a production schedule. 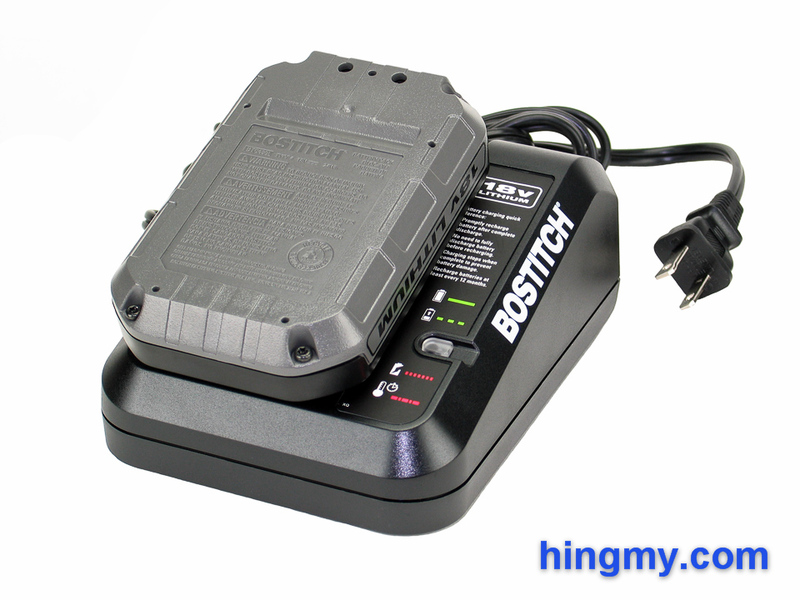 Add to that the fact that Bostitch only sells a single 18V battery. The BTC480L battery is a low capacity model with Ah rating no higher than 1.5 Ah (Bostitch does not specify an exact number). There is no high capacity option like it exists for just about every other 18V lineup currently on sale. This makes buying into and supporting this particular battery system a very hard decision. On the positive side the charger is well built and simple to use. A single, well labeled status LED shows what the charger is doing. Simply insert a battery and the charger will take care of everything. In the shop the BTC400LB produced some impressive results. Drilling holes with this drill is a pleasure. The motor seems to deliver the specified 40 ft-lbs of torque. Even in high gear the drill has no problems pushing a 1/2" bit through construction grade lumber. Hole saws and Forstner bits need to be run in lower gear, but the BTC400LB produces enough power to complete just about every task one could demand of a cordless drill. Off course there are limits. While the BTC400LB makes the grade in terms of speed and control, it is no match for the leaders in the category. A top of the line cordless drill feels noticeably more stable in your hand, and it will complete holes a lot faster than the BTC400LB. The BTC400LB performs equally well as a driver. It sinks three inch screws into structural lumber in top gear without sounding labored, and it does it with poise. The excellent clutch makes driving small fasteners particularly easy. This is a very good drill/driver to have around the house for miscellaneous repairs. Endurance, however, is mediocre at best. The battery is simply not large enough to allow the BTC400LB to complete large projects on a single charge. This drill is best used for projects that include only a handful of fasteners and/or holes. If you demand more, the very long recharge time of the batteries will stop you long before noon on the first day of your project. We purchased the BTC400LB as part of the two tool BTCK410L2 combo kit. The plastic carry case included in the kit works well. Form fitted interior compartments secure all parts of the kit for transportation. Everything is protected from impact. The case is square on the outside for easy stacking, and will keep light rain out for a while. While Bostitch took care of the basics, they forgot to go the extra mile. There is no room in the case for drill bits or accessories. You can't even store a single drill bit in the case without it rattling around inside. Left-handed users will have to choose between the belt hook and the case, because the drill will not fit into the case with the hook installed on the right side (for left handed use). The case arrived with cardboard spacers securing the tools in the case. Bostitch clearly thinks these spacers are necessary to secure the tools for shipping. Why the spacers are not necessary on the job site I do not know. One would think that daily use demands a quality case. Overall the case is a mediocre design that keeps everything in one place. It beats a fabric bag any day, but I can't help but think that a few hours more on the drawing board could have made this case so much better. 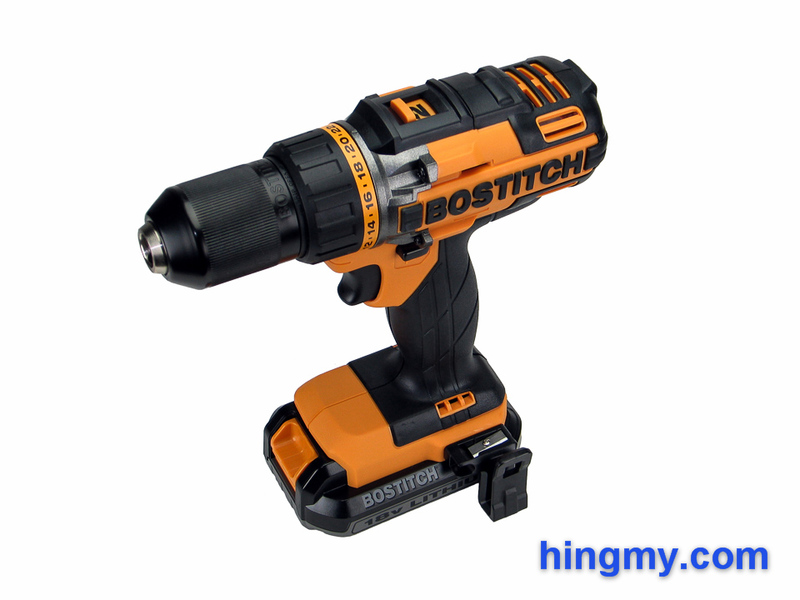 The Bostitch BTC400LB is a capable, yet limited drill/driver. It performs well as both a drill and a driver, but there are doubts about how long it will last under heavy use. Homeowners who are looking for a step up from entry level tools without breaking the bank should take a closer look. The BTC400LB undoubtedly offers great performance for you money. In the age of barely functioning products the BTC400LB might just be your best choice on the Walmart shelf. The budget battery makes the BTC400LB a very poor choice for most professionals. On the job site a two hour wait for the battery to recharge is the kiss of death. Add to that a questionable tool life under heavy load, and you have a sucker's deal.